When someone tells you a joke, he is expecting a laugh in response. And it feels odd if you don’t understand the joke and no such response comes from your side. The person who is telling the joke has to explain it, and the situation no longer remains humorous. A joke is something that does not need an explanation by anyone and similar is the case with user interface. When a user comes to your product, he should be able to find the possible actions that he can perform with the design. If a user interface has to explain itself to its user at each step, it is not possible to navigate the user flow smoothly. A self-explanatory design guides the user while he is working on it. It provides necessary help and guidance to its user in a natural way. No one wants to refer to help manuals each time he gets stuck into something. Instead, the user leaves the product when he is not able to achieve his desired goals efficiently. A good design helps its users graciously by providing necessary information, warning and error messages as per current situation. A design should be self-explanatory and understandable for the user by making ease of use its priority. Ease of use is the top most important feature that when missing, user starts getting frustrated. The best way to create an understandable design is to get frequent user feedback and enhance the user experience based on it. Thanks for reading. Find more related articles at uxdworld.com. 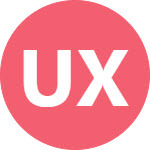 Get my free 5-day UX design course via email.